More protein pasta - and this time it's because I've made it back to Holland and Barrett to get the rest of the range. 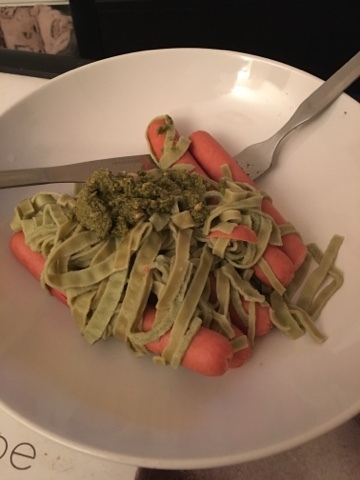 Here we have a two bean Fettuccine. 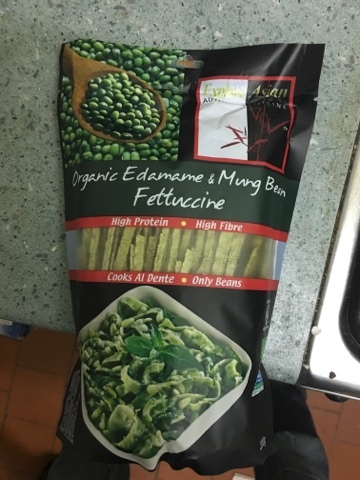 Mung and Edamame are great fresh, so let's see what they are like pastafied. It looks the part, boils quickly and retains texture. 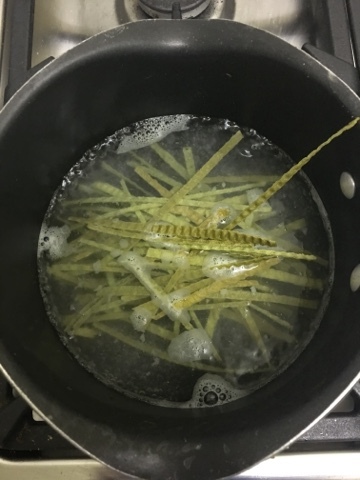 Like rice pastas it doesn't have the same bite as wheat, but is much better for you in terms of nutrients than that. It also has a slight bean taste which adds to your healthy meal - or Herta Fankfurters should you wish to. Another one for the restock pile, which is a good job as I got two bags due to the penny sale. Loving this direction that H&B are taking and now the smaller stores are getting this in too it's even easier to move towards total nutrition.